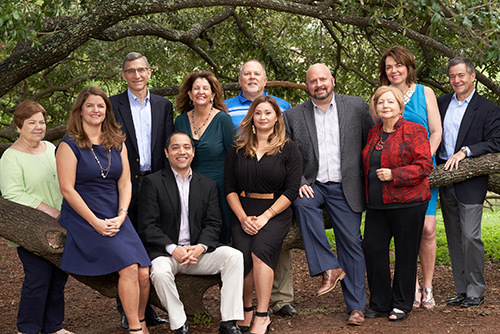 Join our growing investment firm in Austin, TX. Lucien, Stirling & Gray Advisory Group, Inc. is a Registered Investment Advisor providing Financial Planning and Asset Management. We believe in personal relationships and a hands-on, strengths-based, collaborative approach to investing and to working together. We offer competitive compensation plans; company-paid vacation and sick-leave, health insurance, life insurance, and LTD insurance, and a 401(k) Plan with matching. Applicants for employment are subject to screening including skills testing, fingerprinting, and background checks. As we continue to grow, we look to recruit associates with expertise in estate planning, tax planning, retirement planning, and money management. The team at Lucien, Stirling & Gray Advisory Group, Inc. has been carefully crafted with an eye towards bringing together professionals with diverse talents, who share a common belief that through teamwork, cooperation and complementary expertise, we can bring our clients the most intelligent, objective advice. We do not operate under a “producer” mentality; we expect to provide real value to each client. We share excellent credentials and technical expertise, as well as a commitment to the success of our clients, each other, and the firm as a whole. We are a team who believes deeply in our capacity to help people. We seek those who put their clients’ interests first, follow their own advice, build long-term relationships, and want to succeed in a supportive team environment. We value client-centered advisors who are fiscally conservative, and community-oriented team players. A sense of humor is encouraged. We offer all associates a client-centered professional practice, planning support, firm marketing support, investment research, independence, and continuing professional education. Personal growth and continuing development are critical to every member of our firm. If you’re a hard working, success-oriented team player, and if we sound like a good fit for you, we would be delighted to meet you. Please fax your resume to (512) 458-3120 or email us with your resume and qualifications. “There are few, if any, jobs in which ability alone is sufficient.